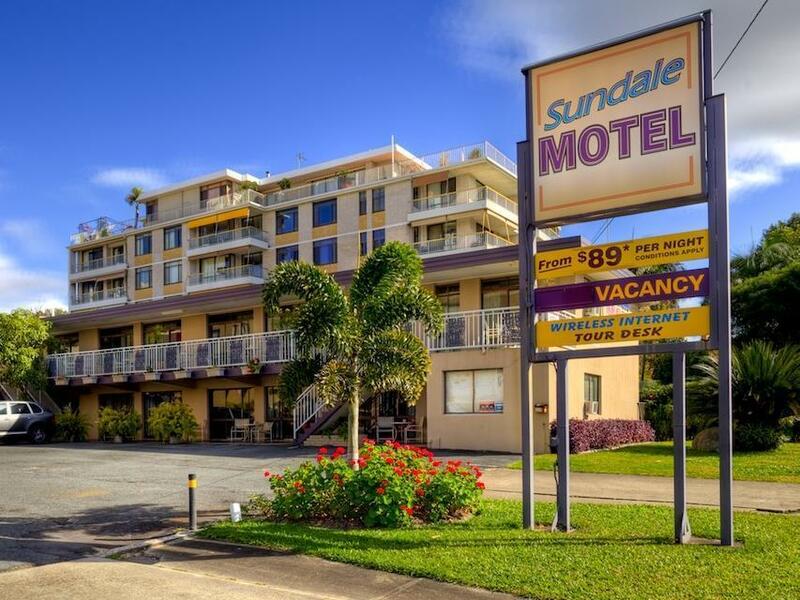 يقع في ساوث بورت, Sundale Motel إنه المكان الأنسب لاكتشاف جولد كوست و ما يحيطها. يسهل الوصول إلى هذا الفندق ذو 3 نجوم من المطار، فهو يبعد عنه مسافة 83.0 Km فقط. بالنسبة لمن يريد الخروج، هذه بعض المعالم السياحية المتوفرة للزوار Australia Fair, Chinatown Gold Coast, Jpops Bar. استمتع بالخدمات الراقية والضيافة التي لا مثيل لها بهذا الفندق في جولد كوست. تتضمن الميزات الرئيسية في هذا الفندق: تسجيل وصول/خروج سريع, تخزين الأمتعة, واي فاي في المناطق العامة, صف السيارات, غرفة عائلية. استمتع بوسائل الراحة الراقية في الغرف أثناء إقامتك هنا. بعض الغرف تتضمن تلفزيون بشاشة مسطحة, غرف لغير المدخنين, مكيف هواء, شرفة/ تراس, مروحة لمساعدتك على استعادة طاقتك بعد يوم طويل. كما أن مجموعة الخدمات الواسعة الموجودة في الفندق لضمان راحتك تترك لك الكثير من الخيارات لقضاء وقتك أثناء فترة إقامتك. إن كنت تتطلع إلى إقامة مريحة وهادئة في جولد كوست، فستجد في Sundale Motel بيتك الثاني. Air conditioning was not working well. Get what you pay for. I mentioned that it was our anniversary....I dont know why... we didnt get so much as a "have a nice stay" No staff to check in with. .had to call a number on office door..... just advised on the phone that room was last room up the stairs on top floor and key is on table. Thank you for the noisiest room you have next to the road and tram line! 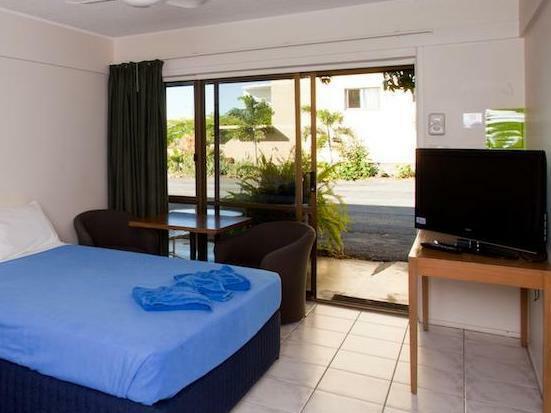 Wonderful location, awesome spacious rooms, amazing staff, clean and neat property. Quite near to Surfers Paradise and surrounded by loads of eateries near by. Tram Stop is just a stone throw away. A complete value for money. I will stay here for sure in future also and definitely recommend it. Last word - if you aren't sure where to stay in Gold Coast then just stop thinking and book it. I am sure you won't regret. Really helpful polite reception staff. Location. Tram station outside. Room needed cleaning and painting. Bed really uncomfortable with 1 thin blanket and freezing. Television did not work. Very comfy beds, extremely friendly and helpful staff, location. Our stay was very good and manager very obliging. We left an expensive item behind and offered to post. Luckily we could pick up on our return journey. If your not fussy about comforts, it's perfect. It's very basic but good value. limited space, not value for money. Pleasant comfortable stay while visiting friends in the area, to celebrate a major birthday. Really appreciated the efficient refrigerator, air conditioning and easy parking. The only good thing about this motel is the friendly staff. 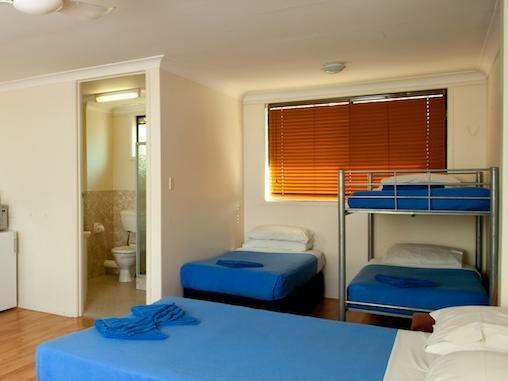 It is a VERY basic motel with poor amenities, which would be fine if it were not so expensive. 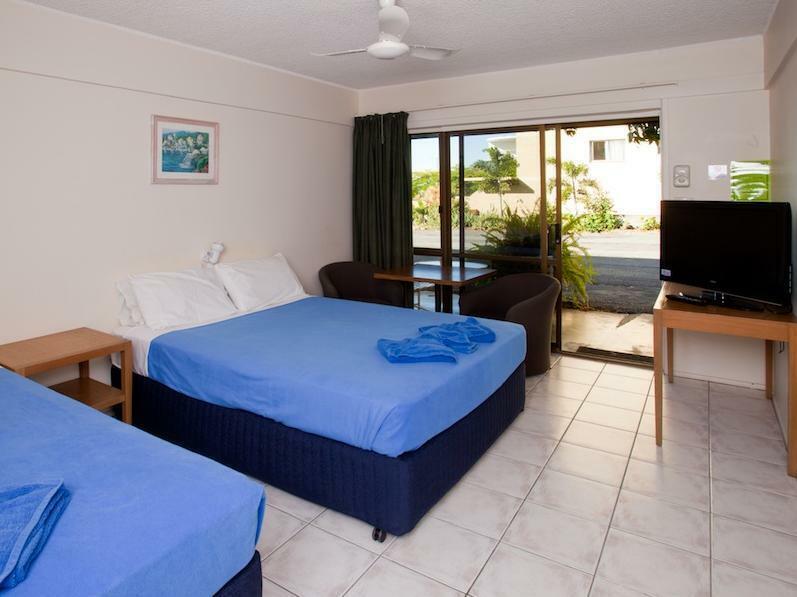 You can get SIGNIFICANTLY better accommodation within the area for the same price. 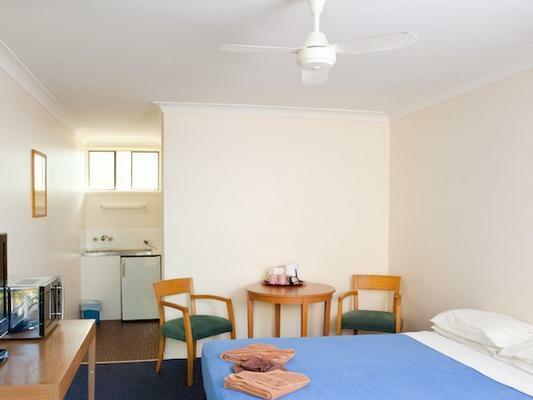 The room is completely basic and old, in a noisy area of Southport. The entry was just a sliding window door (no screen door) so you have to keep it closed for security. With no other windows in the room besides a tiny grille in the bathroom there's zero ventilation. Though there's a fridge, toaster and microwave you won't find a scrap of cutlery besides one teaspoon for the complimentary tea/coffee. Air conditioning costs $10 extra! All in all, just excruciatingly poor value for money. Everything was fine for a cheap budget stay. One thing which was quite dangerous I thought. The flooring is tiles, and the beds are on castors naturally, and when you move in bed the bed slides. Also to view the TV I propped myself up with pillows, resting against the wall and the bed shot forward. Enjoyed the stay, we only came back at night after sightseeing. Basic room but suited us fine. It's definitely not the place to stay if you're looking for a luxury hotel, however, my partner and I were down the Gold Coast for one night for a specific event and it was a good, cheap hotel for just that one night. Located very close to the event we were attending. Only real bad points about the hotel was it's quite old old and run down and has a terrible shower! Bed was comfortable though, and a nice big flat screen TV on the wall. Comfy bed & the TV worked. Manager was friendly. Arrived late on a warm night to find an air conditioner with a power cord that didn't reach one of only 2 power points at the kitchenette end. Sign on wall said $10 extra for air conditioning. The manager on duty supplied a mini extension lead but did not charge extra like another one apparently does! Rickety lock on sliding door, window in bathroom was falling out of the frame, poor water pressure, shower glass had soap scum on it & fridge door was faulty. This motel definitely was not 3 star and was overpriced. 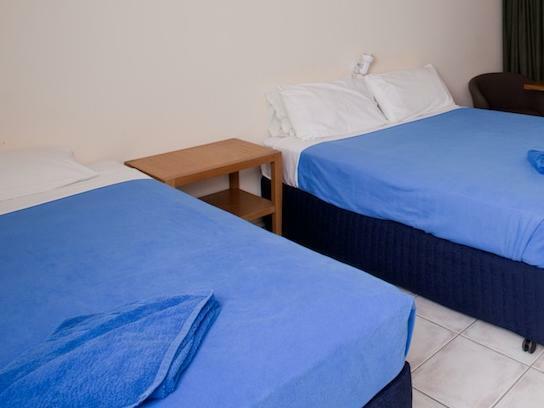 Our son and his mate stayed at another motel on the same night at the same price with the same rating and it was superior to ours.